As part of our general dentistry, Carolina Dental Arts offers our patients dental exams and cleanings in Raleigh throughout North Carolina. Our dentists understand the importance of preventive care, and our treatments are sure to help you maintain or achieve oral health. Biannual checkups allow for our dentists to identify minor issues before they become serious problems. That way, we can provide effective treatments to ensure long-lasting health for your teeth and gums. The team at Carolina Dental Arts serves patients of all ages and will gladly provide routine dental exam and teeth cleanings in NC to every member of your family, from grandparents to children. With our friendly staff, modern equipment and relaxing environment, you’ll notice how we differ from other dental practices as soon as you step inside. We want you to have a positive experience that puts your mind at ease, even if you are usually nervous about your dental appointments. When you visit us for a dental exam, we check for oral cancer, tooth decay, existing restorations, periodontal disease or other common dental problems. Then, we use the latest, most effective products for a gentle, pain-free teeth cleaning to remove tartar, plaque and stains. Your appointment may also include X-rays, fluoride treatments and more to make the most of your visit and optimize your dental health. In addition, our staff will educate you on the best way to take care of your teeth at home. If you have cavities or other concerns, we will work with you to schedule the appropriate procedure to take care of the problem. If you’re looking for affordable dental care, schedule an appointment at Carolina Dental Arts. 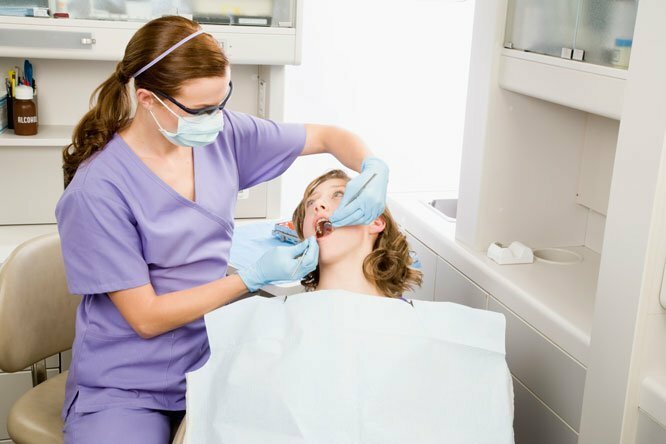 You can trust our experienced dentists when it comes to providing an effective, thorough dental cleaning in NC at a price that works for your budget. Contact us today to see just how beautiful your smile can be!